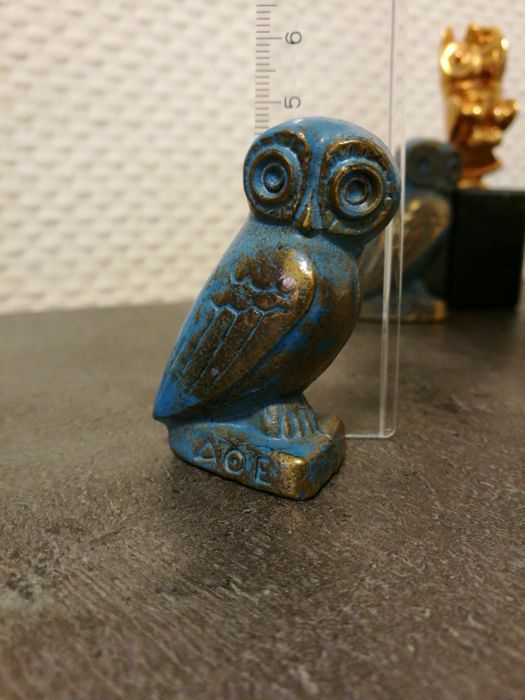 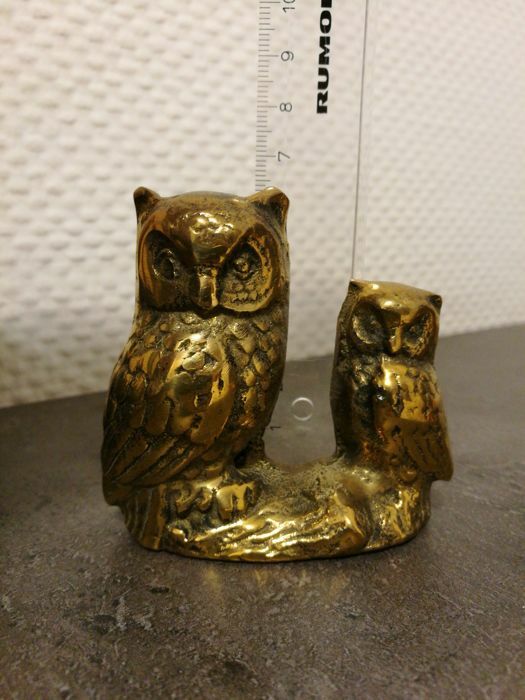 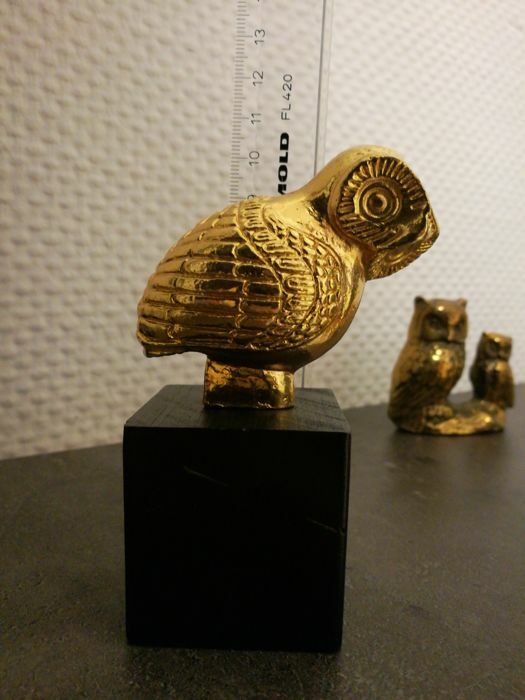 From 4 to 10 cm high, please see the pictures for measurements, 6 pieces. 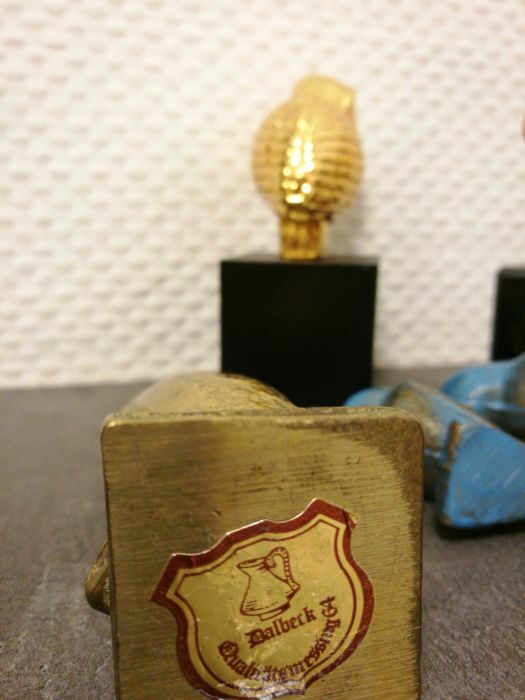 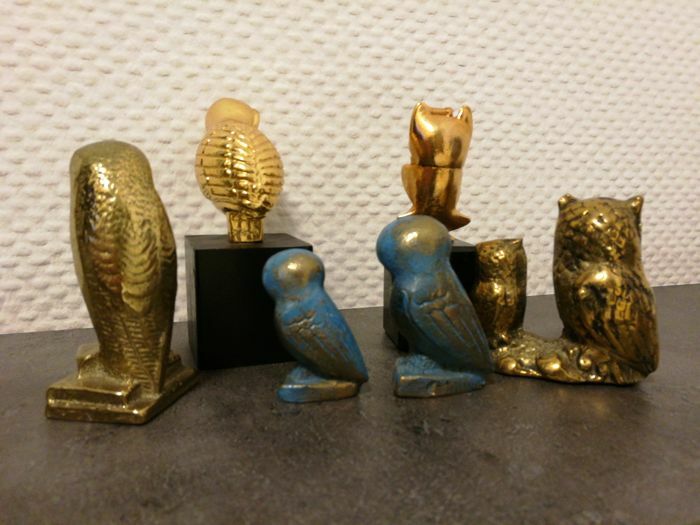 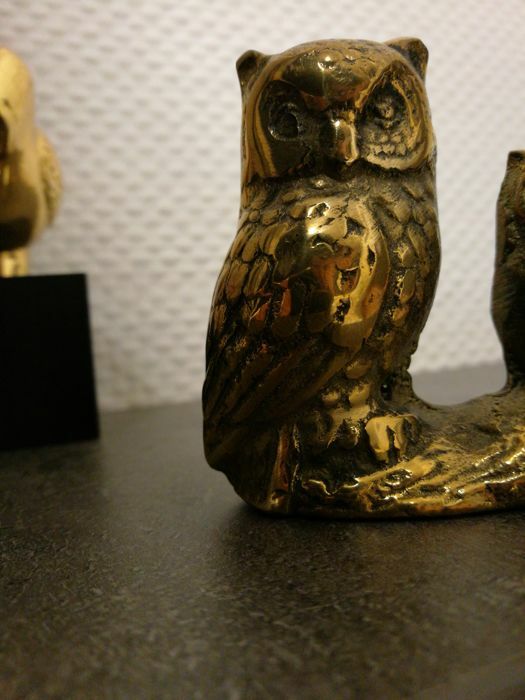 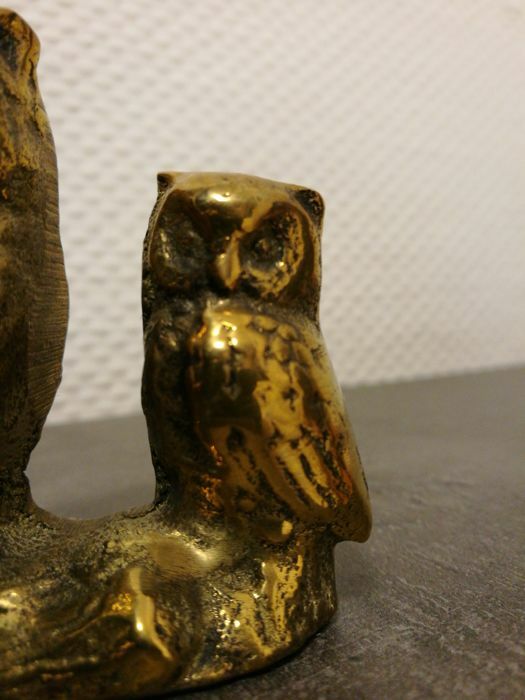 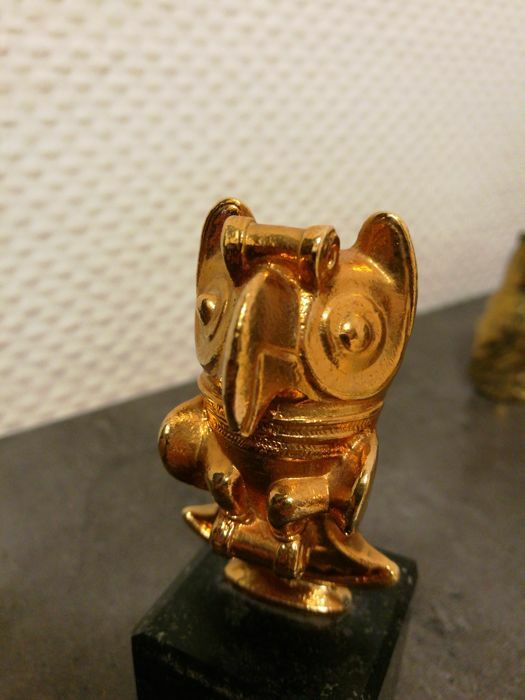 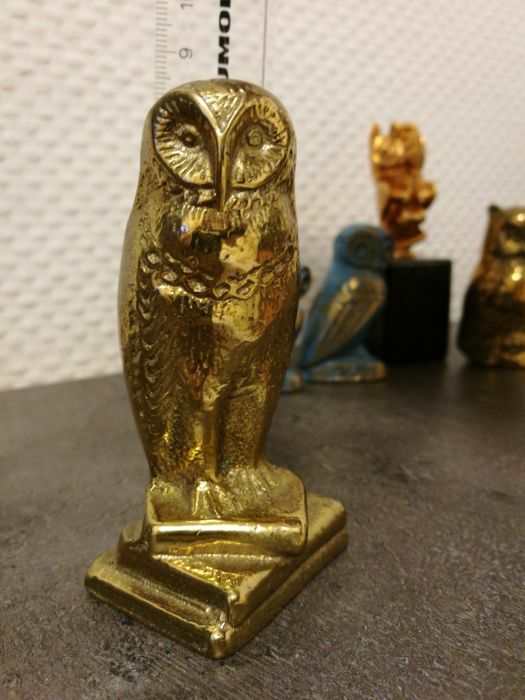 One of them is gold plated on a wooden base ( first picture left side ) and there is another one on a marble base ( first picture right side) this one might be made of copper because of the reedish colour. 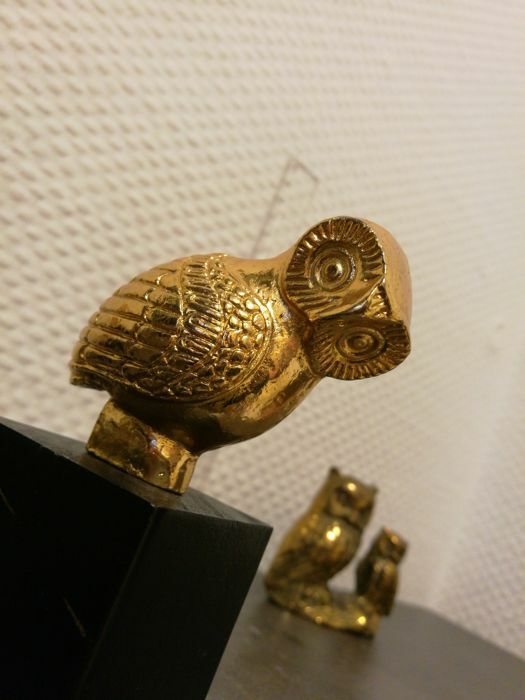 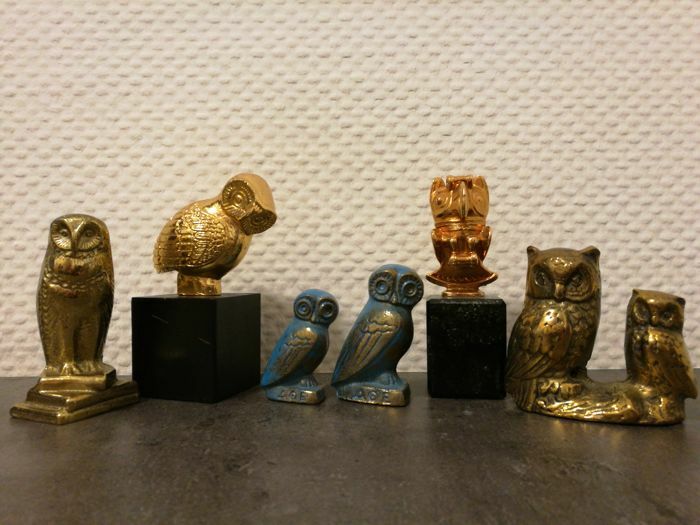 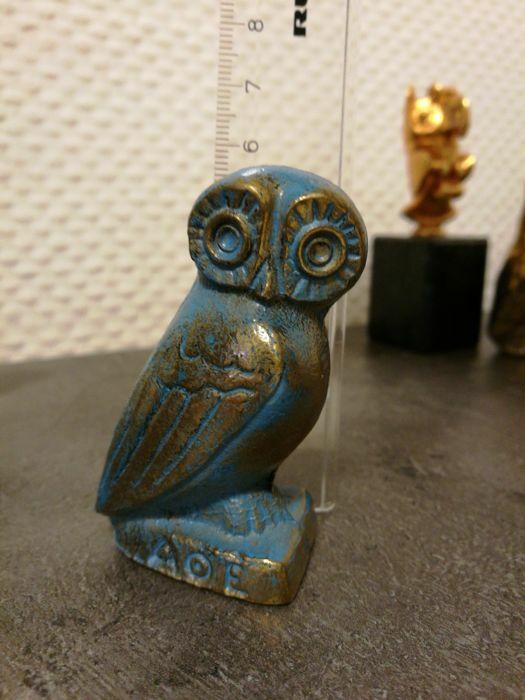 The two blue owls come from Greece and the ones far right and far left ( also first picture ) are german made. 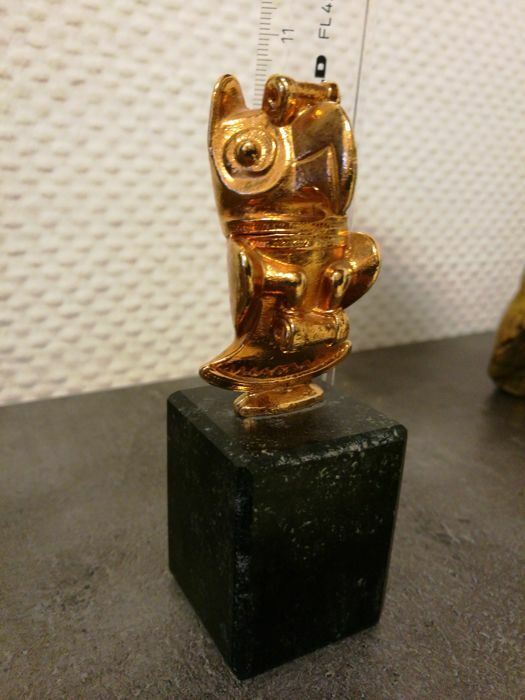 U kunt dit kavel ook ophalen bij de verkoper: Bad Oeynhausen (), Duitsland.